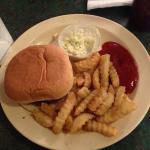 There aren't enough food, service, value or atmosphere ratings for Heart's Family Restaurant, South Carolina yet. Be one of the first to write a review! The joint was clean and recently remodeled. We sat down and greeted my a waitress fairly quick. We ordered the special but wasn’t told it was until. I we may have over looked it. The was pretty good and it was warm. Really good food and great service. The grilled chicken is delicious. Hamburger steak is good as always. 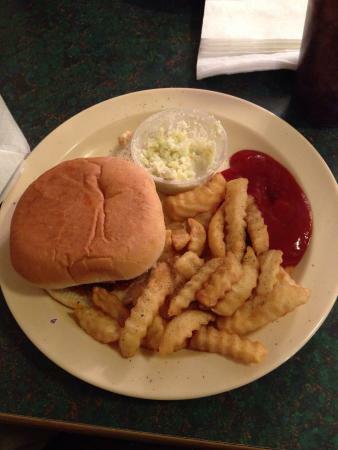 Heart's used to be the go to place for Hamburger Steak and other items. Their half and half plate was the best, but it has really changed in the last several years. The food is pretty awesome. The price is a little pricey especially if you substitute for a salad. Some plates should come with a salad. My husband loves the hamburger steak plate. Good portion. I myself loves the club sandwich. The food at Heart's is very good. Hamburger steaks have good taste as well. I always get my order to go so I don't know about how the service is. I stopped in this evening because a colleague recommended this place. I am glad I did. The service and food was quick, and it was delicious. The prices are VERY reasonable as well. Get quick answers from Heart's Family Restaurant staff and past visitors.